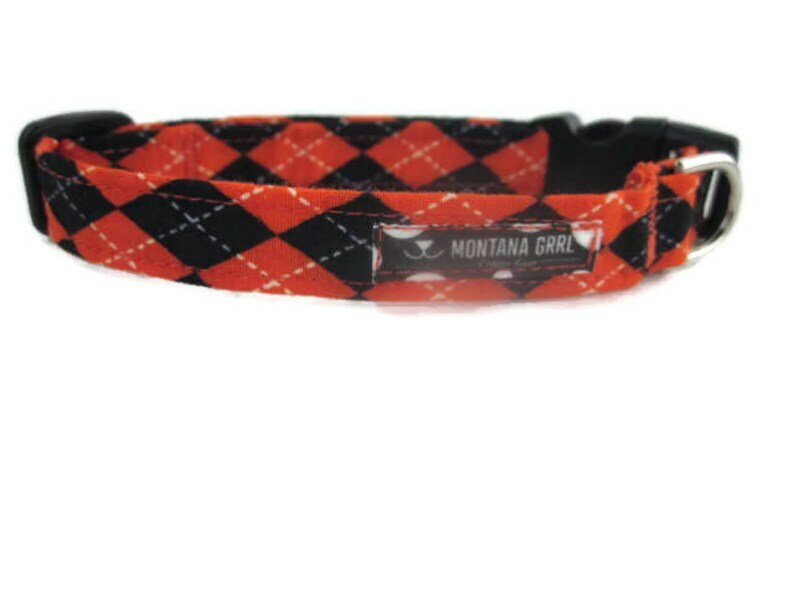 Fun argyle print for your pup! Each collar is constructed using top quality hardware, sturdy (not stiff) interfacing and cotton fabrics. The curved side release buckles are used to hug, not irritate, your dogs neck. The collar has a heavy duty D ring. The collar doesn't contain nylon webbing. SM can be ordered in 1/2 inch and 3/4 inch wide.